Look more beautiful on your daughters wedding day with RM Richards Womens Two Piece ruffled lace Jacket Dress designed exclusively for the mother of the bride! 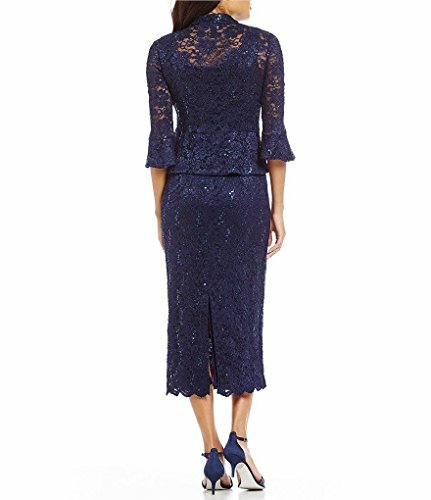 The jacket dress is a two piece long dress with removable lace jacket. 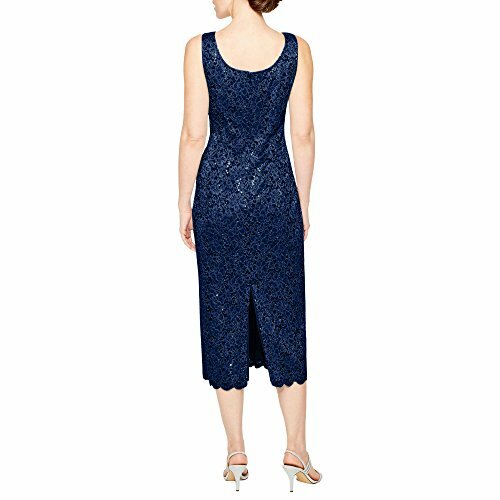 The dress is designed without sleeves and the jacket features elbow sleeves with ruffled hem. 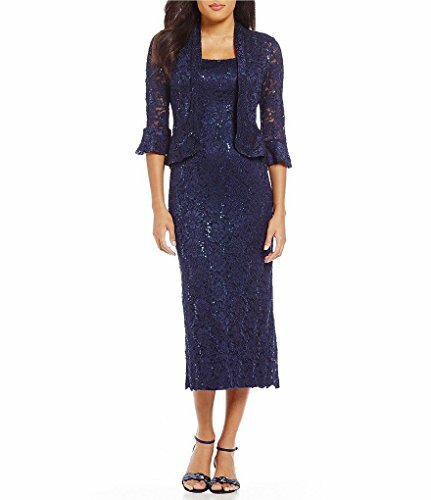 This Special occasion dress features an elegant lace jacket with collarless front button closure and all over sequin details. 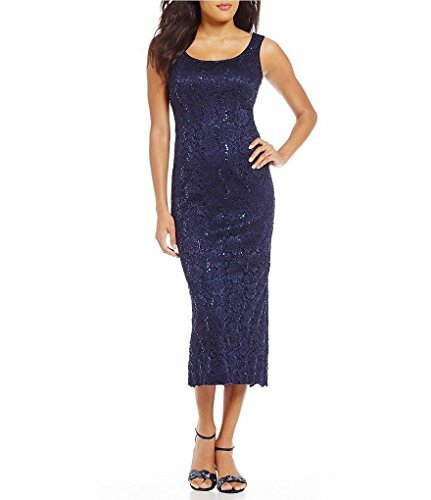 The midi Sheath dress features sleeveless sequined lace throughout and a scalloped hem. lined slit at center back hem which hits at mid-calf making it look sophisticated and stylish.